Birthday Party in Marietta. X-drenaline Trampoline park. X-drenaline is the premier indoor trampoline park and fun center in Marietta, GA. We offer fun for all ages including a ninja course, rock climbing walls for different skill levels, dodge ball, trampoline basketball dunking, foam pits and more. If you are in the Marietta area, be sure to stop by and visit us. 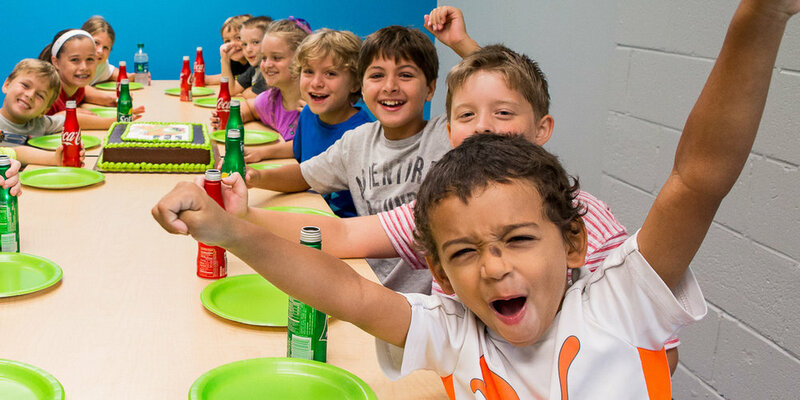 Looking for a fun and unique birthday party or get-together in Marietta? X-drenaline offers party packages. From an all-access birthday party for you and your friends to an unlimited private party. We've got you covered.